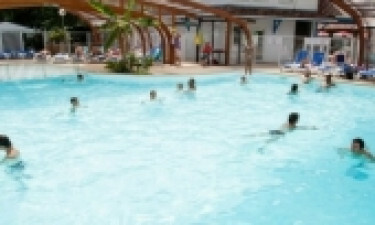 Situated in the picturesque Aquitaine region of France, Le Domaine de la Marina is a leading campsite, bookable at LUX-camp, that provides a wide range of different types of accommodation to rent. When you choose to stay in one of the modern mobile homes, you are sure to find everything you need to enjoy the camping holiday of a lifetime. What Makes Le Domaine de la Marina So Special? A beautiful sandy beach is situated a mile from Le Domaine de la Marina and this is the perfect place to spend the day soaking up the sun. Guests will find that they can walk to the beach in just a few minutes from this luxury camping site by following a sandy trail and the water here is exceptionally clear. The site itself also features a large outdoor swimming pool for guests to splash around it. 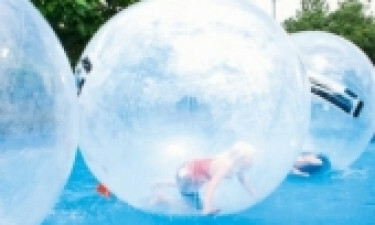 People who enjoy being active while they are away will be able to take part in a whole host of exciting activities both on the site and in the surrounding area. People who have a strong sense of adventure will have plenty of opportunities to let off a little steam while exploring the area in a whole new way and some of the activities that are just waiting to be tried include golf, surfing, quad biking and cycling. Le Domaine de la Marina boasts an onsite wellness centre, which is the perfect place to soothe aching muscles and simply unwind for a while. The wellness centre is staffed by talented masseurs who offer a range of different types of massages and other spa treatments to leave you feeling and looking great from head to toe. The centre also comes complete with a sauna and a Jacuzzi for guests to make full use of. 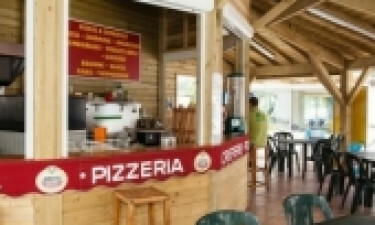 Naturally, people who are enjoying luxury camping at Le Domaine de la Marina will want to sample the local cuisine. This can be done in the stylish setting of the onsite restaurant, which comes complete with an outdoor dining area where guests can unwind while enjoying the classic French flavours of the dishes that are created from scratch here. The staff at the site have also created special kit breakfasts that are designed so that they can be eaten in the comfort of the mobile home. People who want to pick up last minute provisions and ingredients to make tasty meals for the family will be able to find an excellent range of products at the onsite supermarket. This is a good place to try fresh local produce as well as classic French snacks and treats that will really help makes this camping holiday the trip of a lifetime.